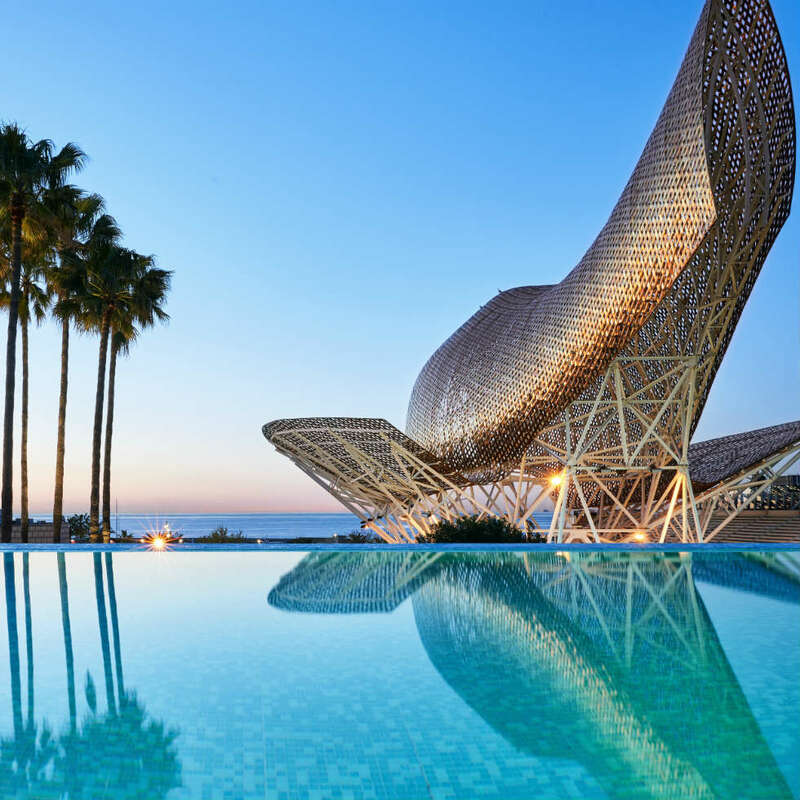 The largest landscaped garden within a hotel in Barcelona is the perfect space to enjoy the flavors that Hotel Arts offers. Two levels of gardens and terraces, and two outdoor pools. More than 1,000 square meters (10,000 square feet) to enjoy swimming in the pool, soaking up the sun, sipping a cocktail or a glass of champagne at sunset during lush summer evenings. Savor Mediterranean cuisine either in the terraces of the Enoteca Paco Pérez, Arola, Marina and Bites restaurants; or in the pool area, where you can enjoy an appetizer or snack, as well as a wide range of beverages. The new Infinity Pool & Lounge invites you to enjoy the sea breeze and feel the warmth of the sun during the day, transforming with the sunset into the most chic and sophisticated lounge in Barcelona where you can enjoy of the best cocktails and music by the sea. 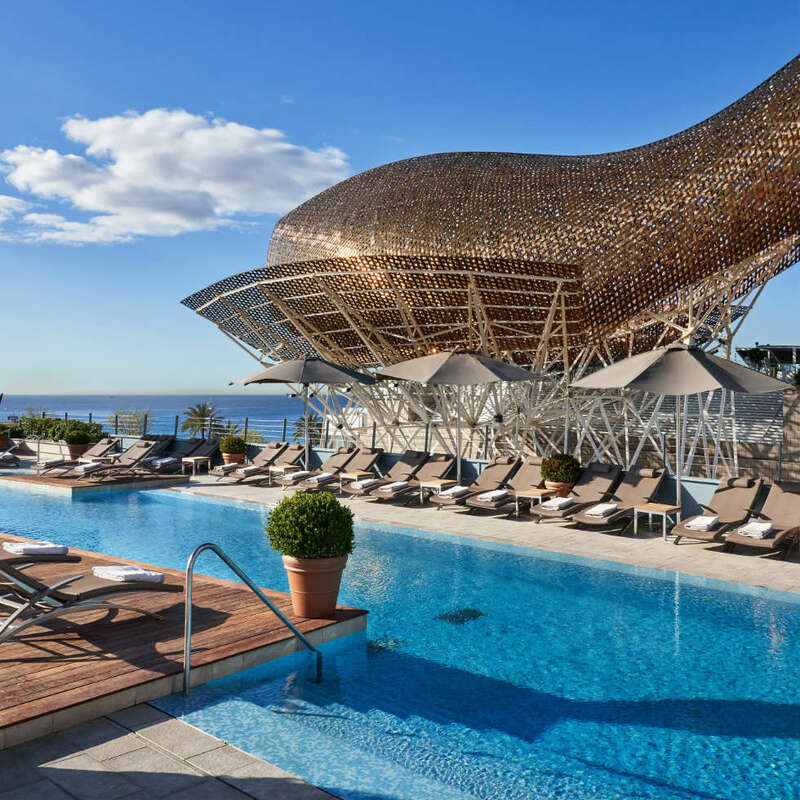 A place privileged by its panoramic views of the sea, Frank Gehry’s impressive sculptures, as well as precious moments of privacy in one of Barcelona’s most exclusive areas. *The access and use of the Infinity Pool & surrounding area is restricted to guests of 18 years of age or over.